It's almost Easter weekend and our family is making a trip to Nova Scotia to visit my parents and have a change of scenery. Also Laurent will be working with my dad for 2 weeks. Smack dab in his last semester of grade 12. I love the freedom of homeschooling. I have so much writing going on behind the scenes. It's just taking me a while to finish, edit and publish here. 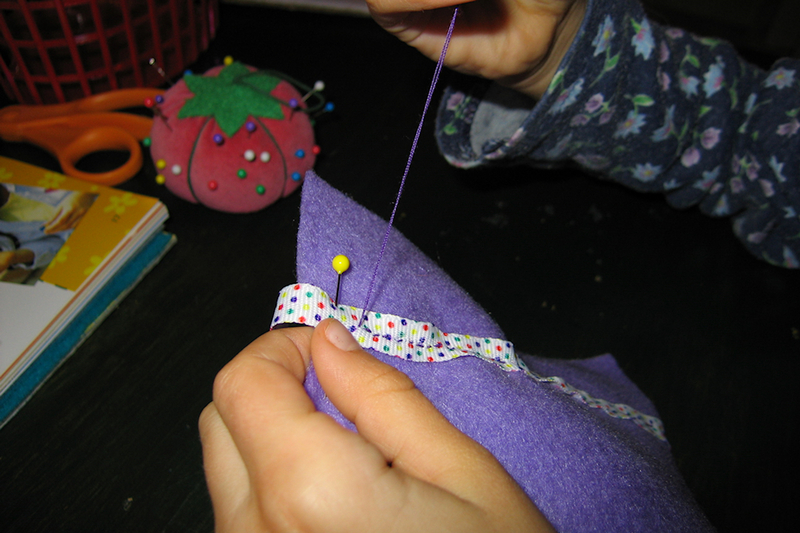 And now that we just heard about Celine's acceptance to university I'm fired up to write a bit about that, to pull together some old posts and reminisce a bit about her sewing/artistic/design ventures over the years. She's been sewing since she was six or seven years old and that doesn't mean she was destined to pursue post-secondary education in a sewing, costuming, and design related field, but it isn't surprising either. She is who she is and I want to celebrate some of that here. Today, I'm republishing a post I wrote four years ago this month. Four years ago we were writing the final pages of one chapter of our family story, our years on the Gaspe Peninsula, and were starting a new chapter, living in Montreal. That April, Celine and Damien were off to Chicago for Celine's first comic-con, where she cosplayed as Black Widow, her first costume project. We spent a week in Montreal, escaping the long winter of the peninsula, couchsurfing and staying in airbnbs while looking for an apartment to rent for our upcoming move. 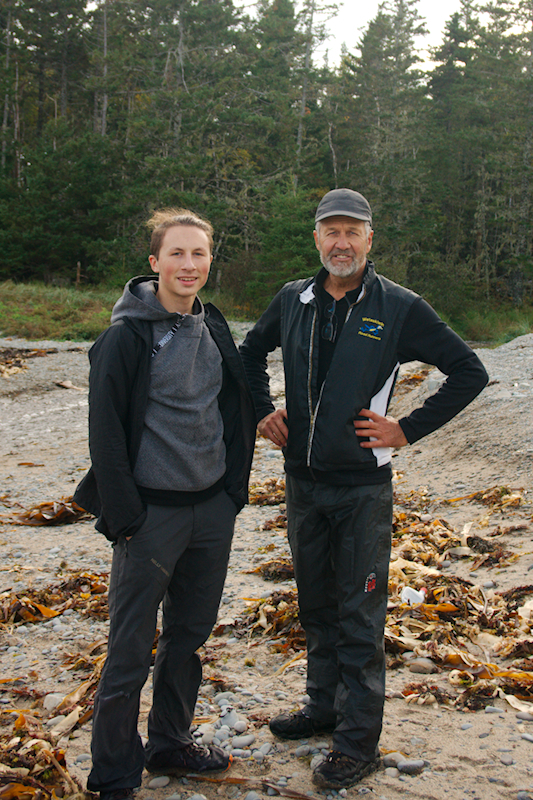 And fourteen year old Laurent spent a month in Nova Scotia working with Papa for the first time. An opportunity he has taken advantage of several times over the years. Earning money to fund his art while deepening his relationship with his grandparents. April four years ago I wrote, "we are in the last stage of active child raising years. It's not the end but it is the beginning of the end. And we're moving to Montreal because we want to finish strong, supporting our teenager and young adult children's needs as best we can." This spring we're once again closing chapters and writing new ones. Laurent finishes high school and Celine starts university in the fall. Someday we'll return, to the mountains, to the woods. But not yet. We are still finishing something here. My parents came for Easter weekend. It was so nice to have them. During our eleven year sojourn in the north eastern United States we didn't spend many of the minor holidays, Canadian Thanksgiving and Easter, with family. Since my parents moved to Nova Scotia, and especially with our return to Canada and our move to the Gaspe Peninsula, a mere nine hour drive from their home in Lunenberg County, spending minor holidays together has become a common occurrence, for which I am so grateful. Their visits to us are variations on a similar theme. Mom brings rubbermaid bins and reusable grocery bags loaded with food. My parents bring their computer questions for Damien, and my Dad brings a paperback or two. My mom brings a bag of "goodies". Clothing she no longer wants or something she picked up, thinking of us, at Guy's Frenchys (Atlantic Canada's discount clothing store). Brienne, Celine, Mom and I are all around the same size now so clothes can be circled 'round. Sometimes she brings jewelry and accessories from her stash that she thinks would suit one of the Tougas girls better. Reusable lotion and lip balm jars are returned empty, in exchange for refills. There is almost always books in the bag. Books to borrow and books to give. There were a few small treasures in the Easter-trip goodie bag. Photographs that were set aside for me, remnants of my grandparent's earthly possessions. Both of my maternal grandparents are dead and the bulk of their "estate" has been divvied up among their children but sometimes little pieces of our Alberta past will make their way out to me in Quebec, via my mom in Nova Scotia. I am far from the land where I was born and raised; the Canadian prairies that was home to my grandparents since immigrating, as small children with their families, in the 1920's from WWI-ravaged Europe. I don't live under the vast prairie sky anymore but my Canadian identity, my Forsberg/MacKay heritage, and my Christian faith; as remembered in these photos and celebrated in sharing Easter with my parents, roots me to my past. There were more goodies in the bag, a handmade cable-knit wool sweater mom bought a few years ago at a vendor's market in Annapolis Royal. It hasn't proven to be her style so I am the lucky recipient, along with a headband I simply love. I'm not sure if she's giving me the headband because she doesn't need it anymore or because she knows I love it. That's my mom. To receive a cable-knit wool sweater for Easter may not be the most traditional Easter outfit but for the long winter of the Gaspe Peninsula it's perfect. April is a month of new beginnings and opportunities for our family; Celine's trip to Chicago for C2E2, a month-long building apprenticeship for Laurent in Nova Scotia, and an eleven day trip to Montreal to find a place to live for our move in July. I feel a strong seasonal shift this month, in spite of the snow that still blankets the fields and mountains. And there's is an undeniable and inescapable (and sometimes painful) tug into the future. Last weekend we turned the last page on a special chapter in our family story. It was the final weekend of operations for the winter 2015 season at Pin Rouge, our local ski hill. And with our impending move, it wasn't just the last ski day of the season for our family, it was a goodbye. Growing up as a I did, on the prairies, I could never have imagined that skiing would become such an important part of our family story. Damien had dreams and it was his initiative that made skiing into a reality for our family. Since we moved to the peninsula, four years ago, skiing has been a central feature to our winter. Considering how long winter is here, you could say skiing has been a central feature to our lives. Our introduction to Pin Rouge was in January 2012, in the deep cold of winter. We rented one of the sweet cottages at the base of the hill for the weekend and paid for telemark lessons to get our family started. We became friends with our telemark instructors and learned of their rental chalet at the ski hill, just down the road from the lodge and lift. That summer, the chalet became our home in the country for eighteen months, and for two full winters we lived at a ski hill. Our first winter living at a ski hill we bought a family season's pass and skiing was on the schedule. We met the neighbors, two families who were building a ski chalet together. We eventually found out that one of those families was planning a round-the-world trip and they were looking for someone to take care of their house while they were gone. Wouldn't you know it, we were looking for a place to live for the very same period of time. Which is how we ended up in our current housesitting arrangement. For nearly two years, the ski hill was our backyard. We hiked it the summer and skied it in winter. When we came home from our hike last fall, completely broke, I was certain we couldn't swing a ski pass this winter. Then we received an unexpected and timely gift from my parents. A gift that allowed us to make an important investment in our future, buying a season's pass at the hill. Damien and I sometimes disagree on how to spend money. I like it the bank. He wants experiences. And the truth is, we need both and this is a constant tension (not necessarily bad but sometimes hard to navigate) in our marriage. Over the years I've come to see that spending money on shared life experiences - skiing every weekend as a family, hiking the Appalachian Trail together - is a type of investment. We haven't grown a financial portfolio but we've grown a family culture and a shared history, making daily, weekly and monthly deposits into our relationship with our children. Relationships, that we trust will stand the test of time and prove to be more be more secure than financial investments. I cried when we got home from our Saturday morning ski. Our winters of living near a ski hill is a chapter that is closing with our move to Montreal. We still plan to ski, but it will look different. Many doors are opening in this move, which is the reason we're going. And I will relish exploring those open doors when the time comes, but first there is mourning the loss of what we had here. There is the hollow feeling in your chest knowing you will never again have this experience as a family. We are in the last stage of active child raising years. It's not the end but it is the beginning of the end. And we're moving to Montreal because we want to finish strong, supporting our teenager and young adult children's needs as best we can. The foundation of our family life and culture has been laid. The core of who my children are, and how that will affect who they will become, has been established. I try not to overthink it, because I am prone that way, but I hope and trust that our best has been, and will be, enough. My oldest is a month away from sixteen. My fourteen year old son is currently doing his first "working-world" apprenticeship. I can't believe we're this far in the game, and yet we are. It was an emotional Easter weekend. The memories of our years here and our winters of skiing flooded my heart all day Saturday. And in spite of being filled with memories, my chest felt like a hollow ache. It's strange that I can be surrounded by the people I love and still feel an ache at the memories I have of being with these people through the years. They are in my present but I am remembering the past. Saturday was my day for that. And then came Easter Sunday. After the blustery snows of Saturday, we welcomed the day's bright blue sky and piercing sun. Easter is a story of new life. It is a new book beginning when the everyone thought the book was closed. Not just closed, but nailed shut. Sometimes, I can feel like the book is closing, especially when an era or season of family life is, in fact, ending. And I have a tendency to overanalyze my children's growing up (especially as we near the end) and think "it's all over now". Hogwash! Things do end. But new things begin. Our family leaves the Gaspe. And starts a new chapter in Montreal. Jesus died. But he rose from the grave. Immigrants leave the old country. And become citizens in a new one. Children grow up. And a new generation of family life begins.